The LOFT quilt is possibly one of my favorite quilts ever. 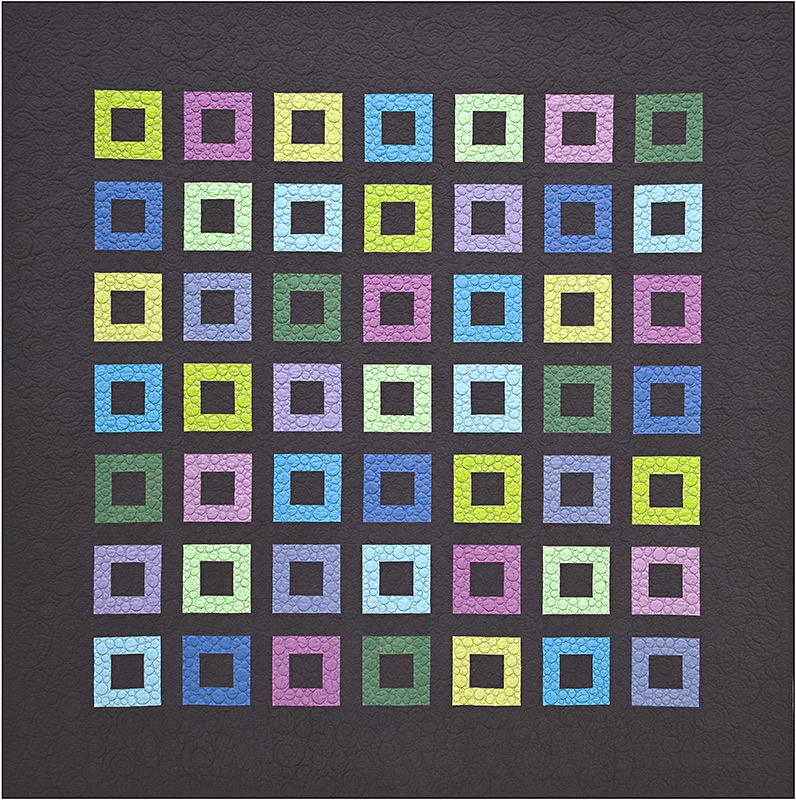 It has some of my most favorite elements in one quilt: repetitive design, squares, negative space, and a solid background. I view it sort of like an entomologist’s display box, where he would put his prized collection of beautiful butterflies. It’s a sophisticated way to show off a favorite collection of prints or solids. And because of it’s symmetry and paired down design, it is very pleasing to the eye. The sample in the book is made with a medium grey background and shades of lime, lavender, and robin’s egg blue squares. LOFT quilt. Photo courtesy of C&T publishers. My current quilt is made with a collection of handloom batiks that I have collected over the years. 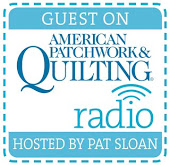 They are all handmade, and a lovely woman named Usha sells them from her booth at various quilt shows (she is usually at the Quilt Festival in Rosemont and at Quilt Expo in Madison). I love the earthy quality of her colors and the feel of her fabrics. I chose to pull out all of the yellows and near-yellows this time. I started cutting without really planning as far as size was concerned. So I let the number of blocks I had cut determine the size of this quilt. I ended up having 37 usable blocks, and decided to set them 6 x 6. 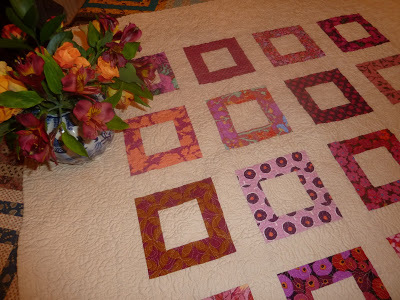 I have a thing about square quilts. Especially where this quilt is concerned. It’s a quilt showcasing squares and therefore I always make it square. 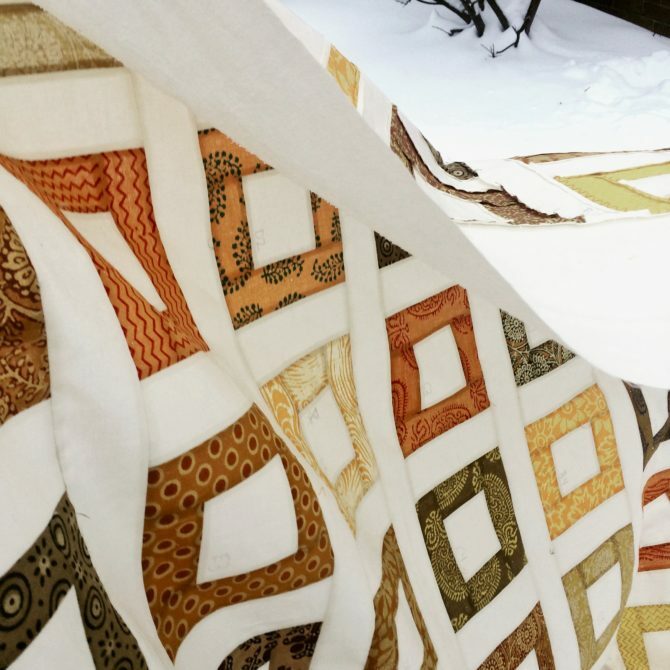 I love how this quilt turned out and I can’t wait to load it on my longarm and get it quilted up! 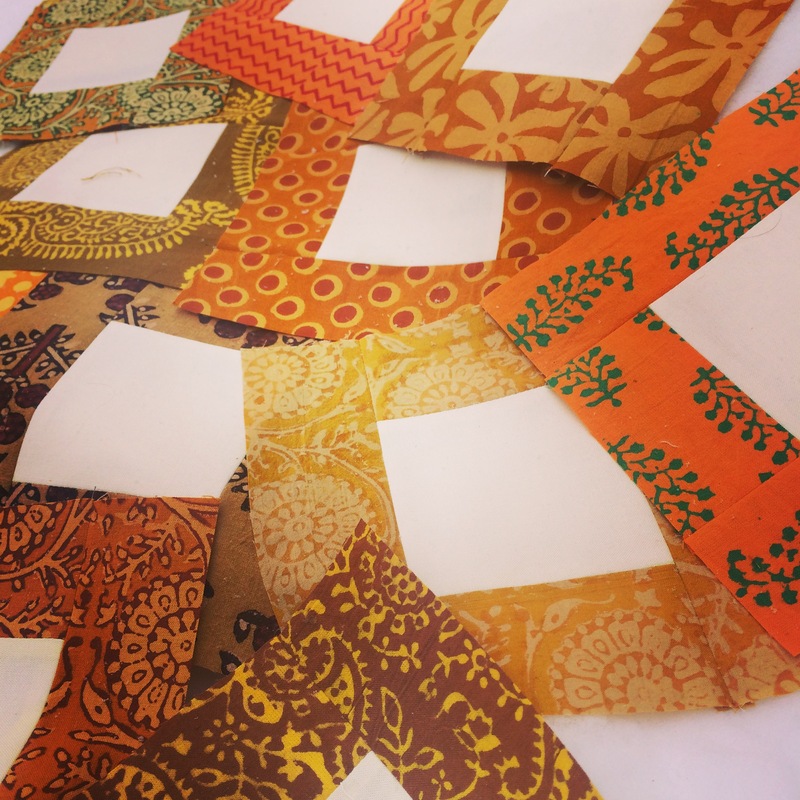 Check back soon for more pictures of the finished quilt….